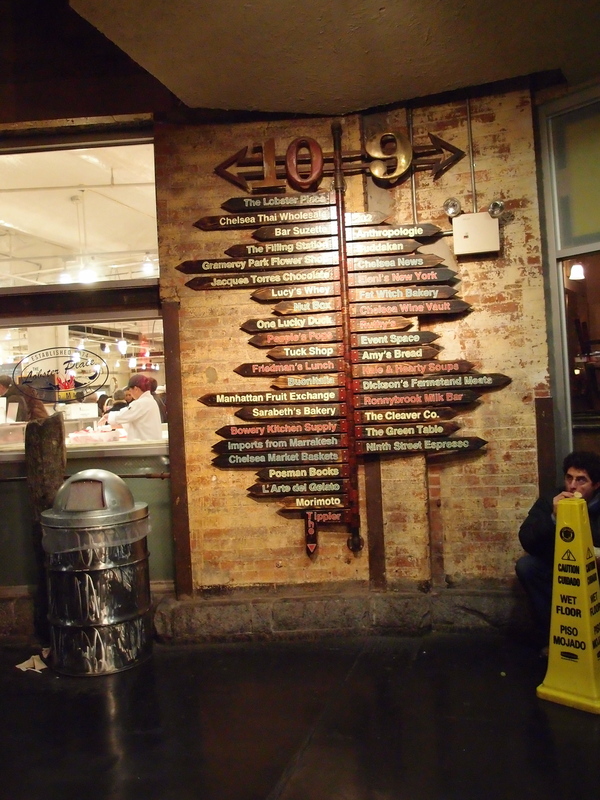 Chelsea Market – No ordinary place. I am often overwhelmed in Melbourne by the enormity of the food stalls, cafes, markets and restaurants that are at my disposal each day. For someone who struggles to make a decision, this is a nightmare. My good scenes eventually rationalise my stomach and I make A decision. This feeling of choice was ten times worse (in a good way of course) in New York. Set with a time limit in the city, I stuck to my favourites along with a few must see recommendations. I spent a lot of time at Chelsea Markets. 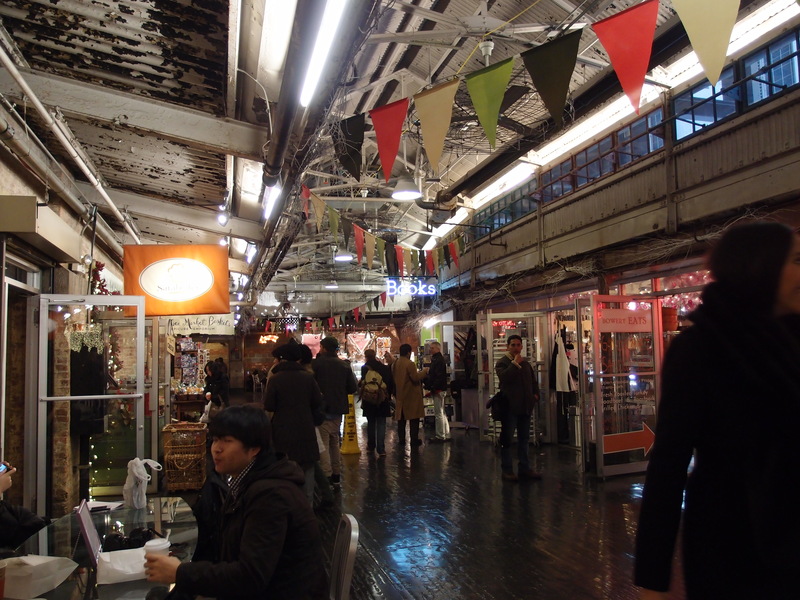 Chelsea Market is situated in the heart of Chelsea, one of the Cities most vibrant and culturally diverse areas, stretching from the Hudson River to 6th Ave between 14th and 34th streets. The Market between 9th and 10th was reconstructed in the 1990’s from what was formally the Nabisco (National Biscuit Company) factory and complex. Purchased for this purpose in the 1890’s, the factory expanded in 1910 and then again in the 30’s before relocating in 1959 causing the factory, offices and warehouses to lay dormant for almost 40 years. Irvin Cohan a wealthy developer in the city organised to buy the properties and began redesigning with a team of architects. Today, the Chelsea indoor food market is home of the Food Network North America as well as offices, lofts and of course, some of the most delicious and fresh food, drinks, crockery and artistic crafts the city has to offer. The market is a fine representation of the surrounding suburb and does not hold back to include some of the more selective choice foods around town. Most notably, the Tuck Shop which is an Australian Pie shop that has several locations around town. Pies are made freshly every day and include the traditional favourites as well as some Northern Hemisphere spin offs. 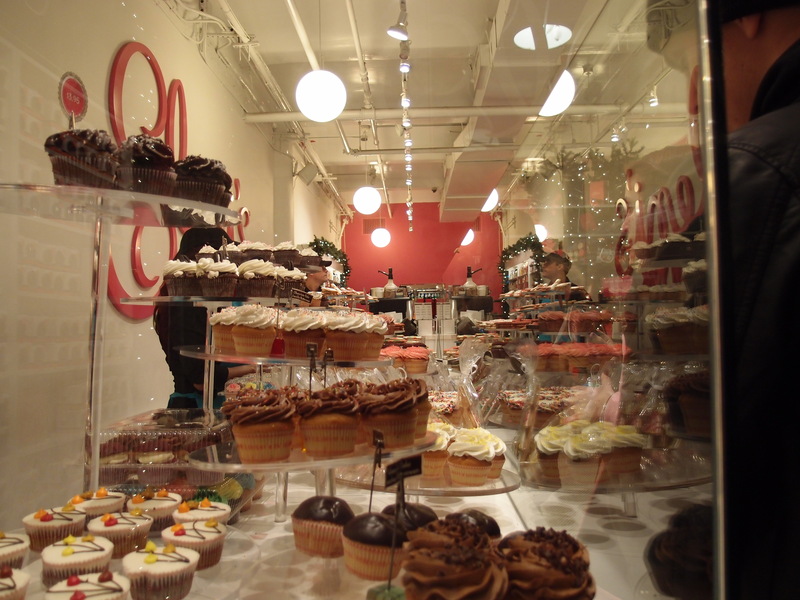 Further down the Market hall is Eleni’s, yet another addition to the NYC cupcake scene. Eleni established her business in Chelsea as early as 1997 and has seen nothing but satisfaction as the ever-growing popularity for cupcakes in the city continues to grow. Decorated with an enormous amount of time and effort, Eleni’s produces some of the most tasty sweets but also the most beautiful and creative to look at. 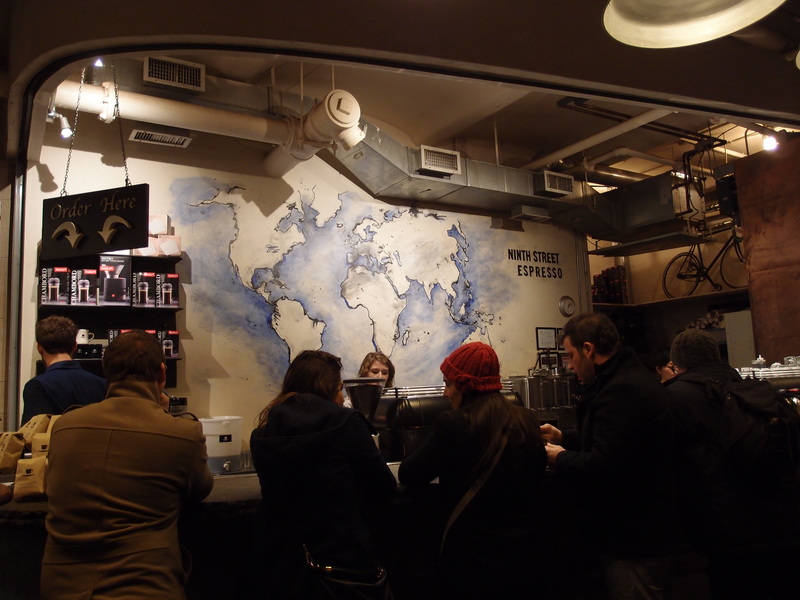 My absolute favourite store in the Market is Ninth Street Espresso. Tucked around the corner next to the 15th street exit, this Espresso bar brew is certainly amongst the top five brew houses in the city. Ninth, strips back the coffee industry fluff and produces, a traditional, home-style and handmade approach into their coffee, restricting their menu to merely seven items in total. Ninth was one of the first to establish the third wave coffee phenomena in the city and continues to generate discussion thought their minimalist approach. The cosy mismatch standing room only bar is set up for the perfect European espresso, whereby customers hesitate to linger, instead throwing back their espresso and moving on with their busy lives. Something I am surprised does not exist more in this city. The blends are on rotation but Ninth pledge some allegiance to Dallis Bros. The Market is full of strange, popular and wonderful places to eat and taste including Hale and Hearty Soups, Amy’s Bread, Fat Witch Bakery, The Lobster Place, Sarabeth’s, One Lucky Duck and many, many more. The building’s design is traditional with modern twists; the deep black floorboards that run the length of the concourse resemble the true factory setting as does the many little plaques, knobs and artefacts that are scattered throughout the space keeping the Nabisco memory alive. With many nooks and corners filled with craft stores, artist markets and history, the restoration of the market floor has bought a vibrant feel to a far from ordinary collection of stores and place. ← The ACE Hotel complex. New York City.